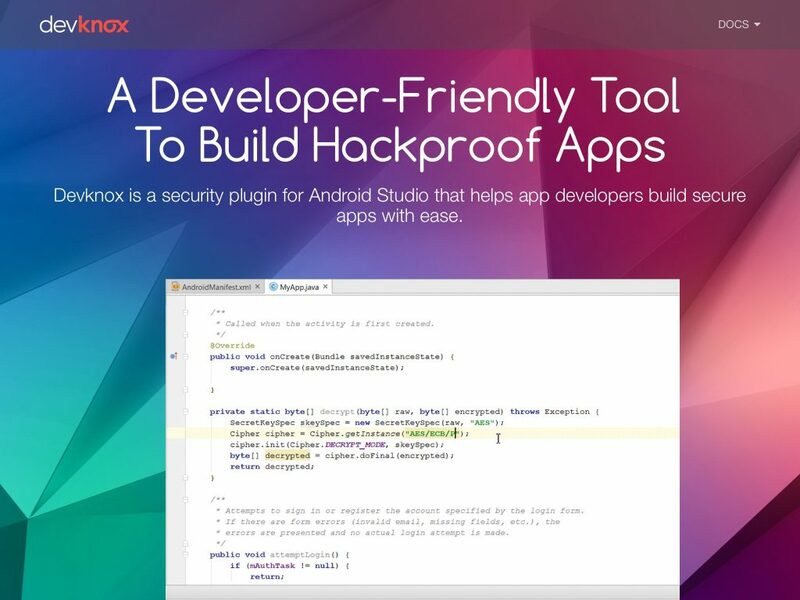 DevKnox is a first of its kind security tool that enables developers to detect and resolve security issues as they write code in Android Studio. While it checks for basic security issues, developers also get real-time suggestions to fix these issues instantly. Consider it to be like an autocorrect for security issues. Intuitive Report Window – Devknox’s report window displays the name of your issues, the location of the issues, with an option for you to fix and suppress the issues right from the report window itself. a. Your issues are highlighted with a red underlined annotation for easy identification. b. We’ve implemented an ‘IDE Editor Marking’ and a ‘Quick Jump to Issue’ feature in the editor itself. Quick fixes for all issues – See the overview of your threats listed and fix them all at once with one single command. User Preferences for Issue types – We check for 26 test cases by default. Choose which test cases you want to be scanned and switch off the ones that you don’t need. Why should Apple take all the credit? We’re well aware that the industry acknowledges Apple as the more secure OS as compared to Google. Why should they be? With Devknox, Google can now ensure that apps pushed onto the Play Store at least have basic security clearance which gives a boost to the overall quality of the Play Store. We’ve recently been hunted on Product Hunt and have received tremendous appreciation from over 200+ active users within just a few days. Building secure Android apps has never been this easy! Go ahead and take back the credit that belongs to you. Start your journey of building hackproof mobile apps with Devknox. Oh and the best part – It’s Free!